If any long week end is about to come,one question wch stuck our mind is What's the plan or Where to go for this long weekend?With much confusions and phone discussions which went end-end between my frends from past 15 days,finally decided to go The City of Casinos 'The Las Vegas' with help of SanDiego and LA troop :) :).So just want to share my experiences with the readers. 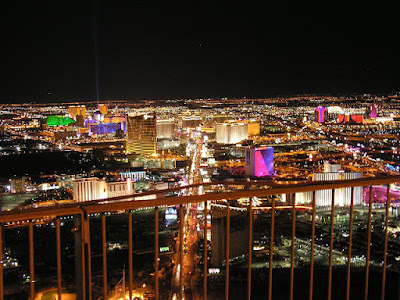 The Las Vegas is most populous city in state of Nevada.It got the title "The Entertainment Capital of World" after Los Angeles(Initially titled to LA bcaz of Hollywood).The Las Vegas city is also referred as "The Live Entertainment Catpital of World" as its famous for gambling,shopping and fine dining esp reputed for Casinos. The actual entertainment hub is Las Vegas Strip(Unincorporated Area) located outside city limits of Las Vegas(apprx 4.3 miles),where we can see many large hotels,casinos and resorts.19 out of 25 largest hotels in terms of room count are located in this area with a total of over 67000 rooms(As per wiki info). This strip came into limelight for its the beautification with wonderful architecture,dazzling look of hotels and amazing panoramic view of city during nitetimes from Stratosphere tower. So how the journey began? We started on my birthday(2nd sept friday) 10PM from San Diego leaded by Nandu bhai.. :).We drove via LA as we had to pick up our new pal(Nandu frend Prasad from LAX airport). Reached finally to the the roshini ka shahar at 5Am(Sat). 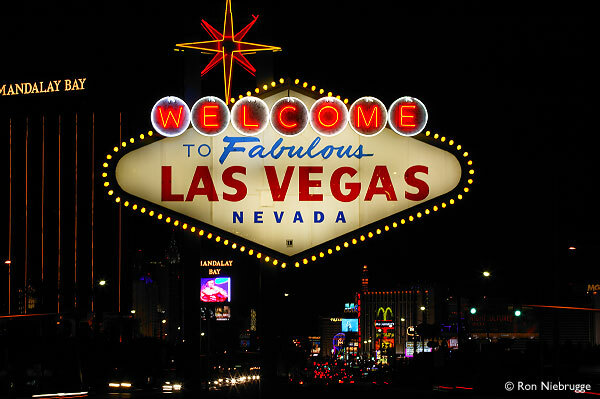 The City welcomed us with the 50 yrs Las Vegas Sign 'Welcome to Fabulous Las Vegas' board which is located near to Mandalay Bay Hotel . Out of many we covered only few casinos.Every casino has its own unique style in terms of look and architecture.The Venetian Casino is exceptionally beautiful in terms of classy view of building and surroundings,paintings,beautiful wall carvings.When you enter inside Paris casino you feel as if everybody are playing outside bcaz the upper layer is totally covered with blue sky view kind of ceiling.MGM Grand casino is fabulous which has Lion Habitat and Movie theme style.The Bellagio's Waterfall and The Mirage's Volcano shows are highlights in this trip.The Volcano show started in the year 1989 by The Mirage Hotels,but we should say thanks to $25 million dollar redesign in year 2008 wch added icing to the existing cake. The NewYork casino by name has NewYork theme with NY exchange style directions inside.The Flemingo's casino is one of oldest hotels.The place we lodged "The Imperial Palace" has mirror look to Chinese theme and the other specialty of this Casino is that most of the hotel rooms have balconies which is rare in LasVegas and also it is one of the economic values hotel along with Stratosphere and CircusCircus.Along with amazing 360 degrees view of the city from Stratosphere we can also have scintillating 3 rides where all the rides are on the top of the tower having the height of 1149ft(350m).On Saturday we didn't saw most of the casinos and places but we covered most of the casion's and places on Sunday..thanks to the MonoRail Transport. 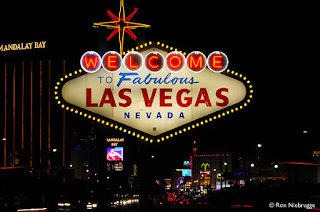 1.Whatever may be factors,visiting LasVegas at-least once is life worthy.